Rayna is responsible for developing, implementing and managing the overall fundraising strategy for McGill University's Faculty of Education. Leading our development team, she works closely with the Dean, the Faculty Advisory Board and alumni from all over the world to enhance the Faculty of Education’s fundraising capacity and optimize short-term and longstanding philanthropic support. To learn more about major giving opportunities at the Faculty of Education, please contact Rayna by email at rayna.goldman [at] mcgill.ca or by phone at 514.398.1666. 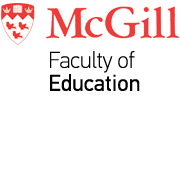 Lillian engages with alumni, donors and other members of the McGill community in order to maximize philanthropic support for the Faculty and University. Supporting the full spectrum of advancement activities, she ensures that the faculty can support strategic initiatives through advancing contributions to the Annual Fund. For information about giving to the faculty, and initiatives supported by the annual fund she can be reached at lillian.onyido [at] mcgill.ca, or by phone at 514.398.1301.